Lately, my wardrobe has been spiced with tassels. They trim my tops, dangle off my shorts, and adorn my jewelry. The fashion world's tassel fascination is suddenly blowing up (with good reason) and I'm jumping in with both feet. Speaking of tassels, let me tell you 'bout Whitney from Beaded by W. The ultimate girlboss, Whitney decided to pursue her business making and selling her beaded necklaces, and has been killing the tassel game ever since. 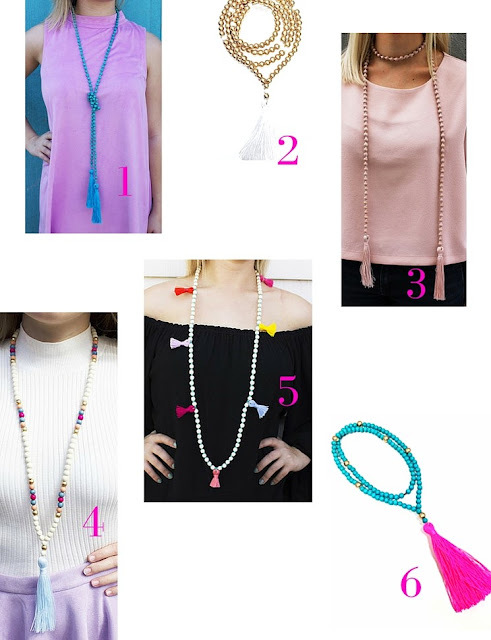 If you're trying to get in on the tassel action, I totally recommend one of her necklaces. I love all of them, but I compiled a list of my top 6 favorites below! When I was curating this list, I loved seeing the diversity of the necklaces. Not only are there the classic "loop and tassel" designs, there are mini tassels, double wraps, knotted necklaces, etc.-- and all in the most fun colors. For myself, I chose The Wilson necklace. While I was on vacation, this necklace was the cherry on top to an otherwise boring, yet comfy, outfit. It is always easy to throw on and I get tons of compliments whenever I wear it! I love all of your choices! I've gotten really obsessed with everything tassels too. Super cute choices! Tassels are definitely in this season, and I'm loving it! 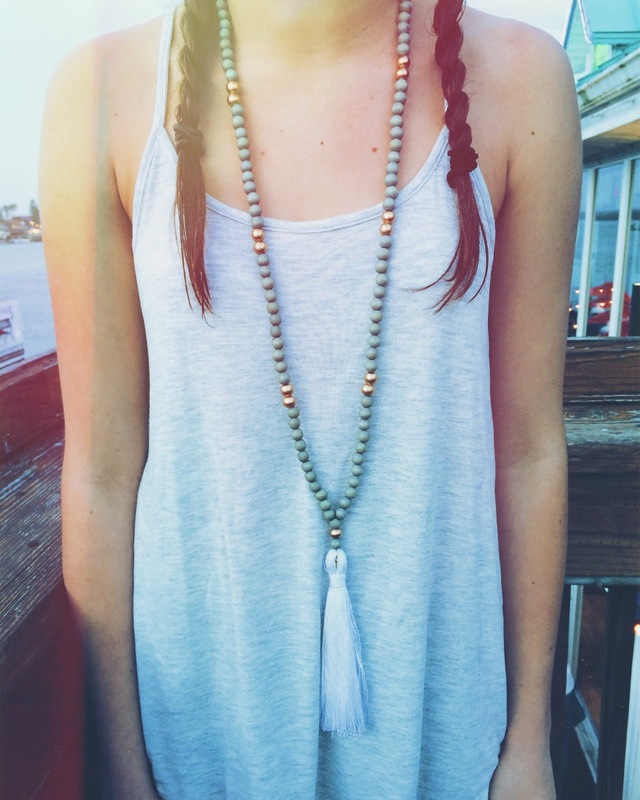 Tassels are so fun for summer!